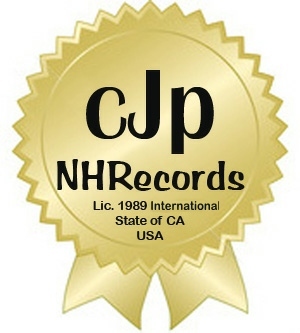 CJP-NHRecords is an international consulting business exclusive to the music recording industry & record label with proven commercial broadcasting for original produced music. We do one to one consulting for those who want to be guided onto the right road in the music recording industry. We've been a licensed business in Southern CA USA since 1987 Lic. #11903 in 2016 changed to #024489. (Posted licenses on this website) and remains current to this day. CJP-NHRecords retains a consulting business exclusive to the music recording industry for many years and view copy of the business license at bottom left side pg. 2 for a viewable confirmation. Founder is the chief consultant [*CEC] that helps guide staff and specialists, to help market original songs and clients towards their specific goals. Please you may contact Dun&Brad, Better Business Bureu (BBB) form jpg posted on this website without paying for rating, other business licensing offices, along with our having listings in former Trade Publications like the past Billboard etc. for print & verbal verifications. CJP-NHRecords has been and will help those in need. 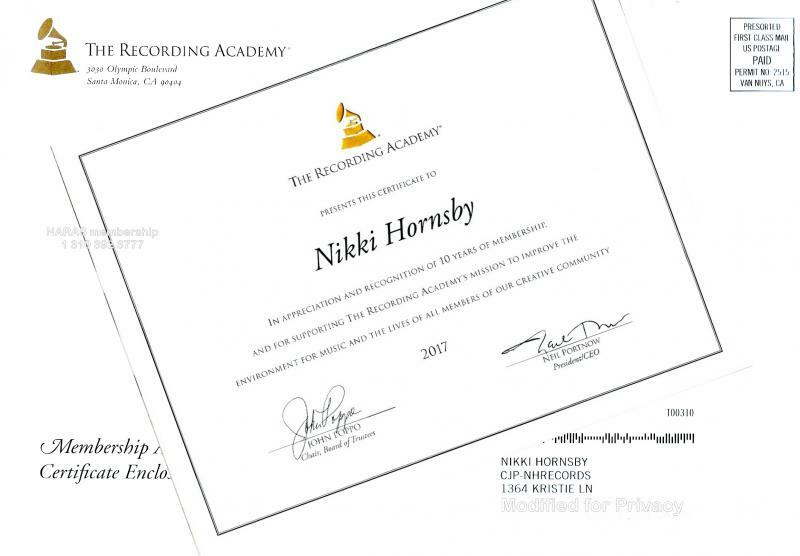 The sole founder and *chief executive consultant, CEC, Nikki Hornsby, is a voting member of the Grammy's (NARAS) & once with the Academy of Country Music ACM along with other business organizations world wide.Also on site proof for her honor to be nominated four years to the ACM Board of Directors based on her knowledge of the Music Recording Industry. CJP-NHRecords has had a number of projects through independent specialists who for a contracted percentage of net returns http://www.cjpnhrecords.blogspot.com. There are CJPStaff projects focusing on licensing agreements world wide for all of Nikki Hornsby music which is exclusively retained (p) and managed such legal licensing by CJP-NHRecords. Another project Nikki Hornsby herself accomplished online was changing the recorded instruments for her songs (keeping the original music & lyrics) working with professional musicians via the net. This project was accomplished as proof of making Hornsby songs into pop, international styles, and some classical formating thus changing the generas for many fans of Hornsby music. This again is the craft of her compositions plus her knowledge and useful for other artists to imagine themselves to perform. Having other artists perform Hornsby music has always been the lifetime goal of Nikki Hornsby since she wrote her first few copyrighted song as a child. 2012-2013 Nikki Hornsby was called by Grammy Museum curators to contribute her famous grandfather's (along with other major recording artists) products to their year long 2013 event for Columbia Records 360 which closed Sept. 15, 2013. Then she & a few of her staff had a private viewing of her Grandfather's display on 4th floor. The Ex. Director of the Grammy Museum In Los Angeles CA met with Nikki in the lobby with two currators afterwards for a photo ﻿opportunity. [View photo confirmation here of that day on this website under photos]. The LA Grammy Museum is located in downtown area across from the Staple center. The Staple Center is where the Grammy Awards are held annually in downtown Los Angeles CA with a few exceptions like being held in New York City NY USA. Grammy Museum is an interactive museum for music makers, music lovers and their families. This Museum is worth seeing and experiencing. See the poster once on the wall at the Grammy Museum with Nikki Hornsby's name among many other famous names on this website pg. 8. Fact: Nikki Hornsby took many years to send in her Grammy membership application [even though she qualified for voting member status in 1988]. To this day she is a proud voting member of the NARAS (National Association of Recording Arts and Sciences) She is proud because 'The Grammys (NARAS),are the only peer-presented awards to honor artistic achievement, technical proficiency and overall excellence in the recording industry, without regard to album sales or chart position'. and 'Voting Grammy Members are professionals with creative or technical credits on [at least] six commercially released tracks (or their equivalent)'. In 2014 the NARAS membership was 24k and the voting membership 12k and Nikki Hornsby are the responsibile voteers under the rules to vote without regard to any sales figures, populartity from marketing of the nominated products for each year. Nikki Hornsby joined NARAS with over 21 commercial songs (repertoire of over 50 songs listed with Broadcast Music Inc. (Some are from the many hundreds she has writtern both lyrics & music. There is a link to a BMI list found on bottom right hand side of front page of Broadcast Music Inc. (BMI) as you go through search engine on the BMI website and type in Hornsby, Nikki composure - songwriter for the result verification of Hornsby music. Nikki has had international releases on radio with number 1 charted in Spain (document verification on this website Pg.9) & other European countries from Greece, Denmark, Norway, Sweden, England, Ireland, Italy, & Germany with documents provided proof upon request. Nikki Hornsby was voted the Scandinavia Female Singer of the Year with her music on radio there but at that time unable to tour those countries. Then she was charted on a former USA Top major offline radio chart with another song called "Shoestring & A Prayer" in 1989 (see photo of that major chart here). In 2011 "Flyin Over Sweet Alabama" reached #27 on a Top 40 Country Singles Chart. 2012 The Cashbox Magazine Canada reviewed "Just Wait" CD reviewed seen here: http://cashboxcanada.ca/2624/nikki-hornsby-just-wait reviewer said of this group of songs of many Nikki Hornsby CDs "...definately a CD worth having in your collection..."
Is Nikki Hornsby related to another Hornsby in the music industry? Yes, go to Wikipedia & read about her grand father Dan, a famous Hornsby Columbia RCA Recording artist for songs like "Take me out to the Ballgame", "Shelby Desaster" (original), "Oh Susanna" and more. He was influential in years of his lifetime work within the Recording Music Industry not only as a professional singer songwriter, musician, hand leader, but as an A&R for Columbia Records artist bringing musical talents like Bessie Smith & other artists including his own music onto recorded disc in order that they were saved for future generations. Also told to her by her Aunt Silvia Hornsby Ethridge, he was the producer engineer of the first recording of "You Are My Sunshine" and was called by President FDR many times to perform at the Little White House of the South. Silvia Hornsby Ethridge spoke of this years ago when she lived in Atlanta GA area as Mrs. Ethridge sings in her own church choir. CJP-NHRecords continues to make plans for recorded product of Nikki Hornsby original works knowing as she says "music is an intellectual piece of property which is inheritable." The copyrights are all protected by US Government Federal laws. The publishing rights are licensed for use by any artist or companies through licensing contracts easily provided. CJP-NHRecords is retaining all rights to any intellectual property by Nikki Hornsby since 2006 to this day unless otherwise contracted. After two years of working a planned project [s430], in 2007 CJP-NHRecords had 8 submissions accepted to the first Grammy ballot by the NARAS committee. 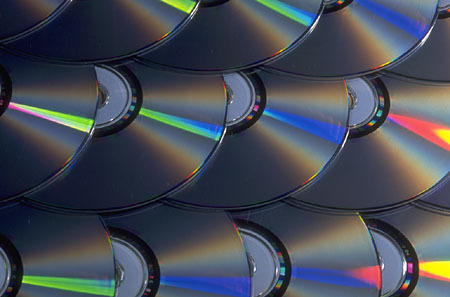 These releases proved prior merit with commercial radio airplay & personal public appearances throughout Europe. Wide acceptance of these songs came from two years of intense personal testing. Project intentions were only for licensing Nikki Hornsby music to other artists. This project s430 was exactly for that reason and documented. The s430 project structured European market testing to bring the products back to the USA for shopping to other artists through personal Grammy contact networking. Airplane of Luftanza 13 hr. in-flight major injury to Nikki Hornsby stopped this project from going any further towards completion and more, but CJP-NHRecords holds s430 still open so that potentially one day it will be completed as more original songs are composed to equal 300 tested postive to unknown listeners throughout live radio, TV, and appearance performances in USA & Europe. More projects followed this event continue to develop to this day. CJP-NHRecords continues as Miss Hornsby has for years with her passion & persistance for the right reasons...the gift of music and it's responsibilities she directly inherited to carry forward through her own life. The one to one consulting business helps others achieve & surpass Ms. Hornsby's accomplishments to reach the goals for those wanting rewarding careers in music. The CEC (chief executive consultant) and the Staff are looking forward to a positive future especially in our new business developments such as contracted specialist along with speaking directly to consult you towards success. This will occur after our mailform survey is reviewed. If you are serious, go to page 3 where we have "Our Mail form" that has questions that will help us guide you on the right road towards your goal. On another page you will find our "Guest book" if you just want to say you were here for a visit. Please sign that you were here.You can use it to networking. Plus read instructions for our song evaluations. This evaluation is for ONLY copyrighted song material. This is a standard requirement for our evaluation services towards consulting. Our service is good advice but needs your efforts first. Knowledge saves money & time. Get the knowledge from those who have 'been there, done that'! Right now go to the mail form. legal license filed Southern CA in Los Angeles Co. in 1987. We are a consulting business exclusive to careers in the Music & Recording Industry licensed in Los Angeles County since 1987 and then expanded to a record label in 1989. 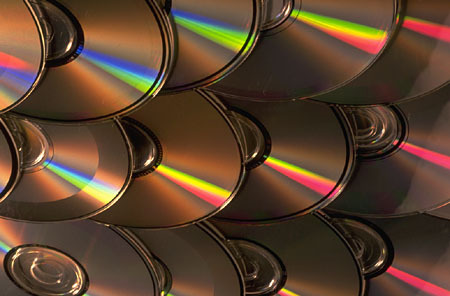 CJP-NHRecords label division commercially charts original music produced at a high standard to over 3000 radio stations off line & and some stations today online for the purpose of proving merit of music product. Our record label staff does this for various projects in marketing CJP-NHRecords productions to the consumer and available to other artists. Plus music available for licensing to film, TV and others. "been there and done that"
and know how to achieve the goals you set in the music market place worldwide. "No Business does Business for Nothing". Consulting is on a One to One personal basis. We are NOT a class, a seminar, or a lecture in a series with tapes or other things to sell you like books & membership dues with a fee for reviews. We will provide you with proven sound and honest advice. you may want to E-mail us question from pg. #9. Please contact us as we look forward to hearing from you.